at UN Headquarters in NY. 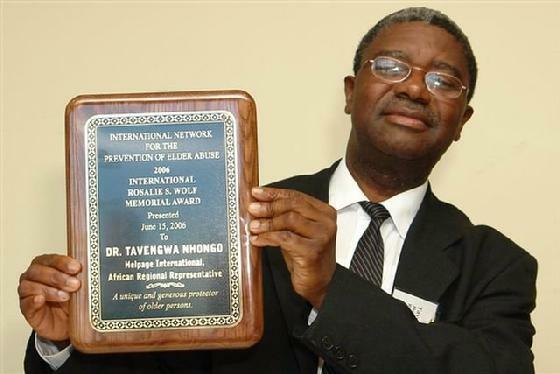 March 2007 Ageing in Africa newsletter, Issue 29, page 8. 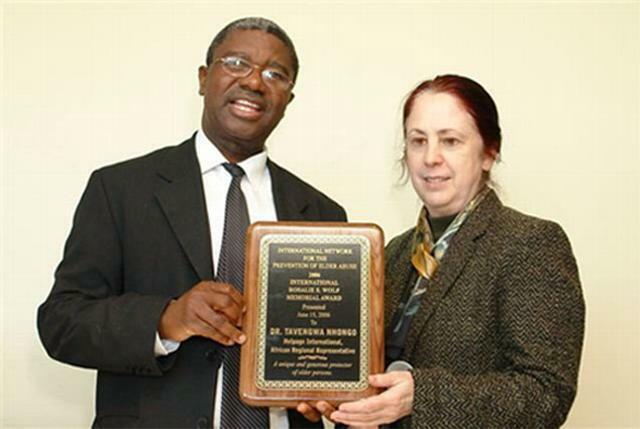 Susan B. Somers, JD, Secretary-General of INPEA presents Dr. T. Nhongo with award. Click here to download photo page. Click here to view announcement on Rosalie Wolf Award page.